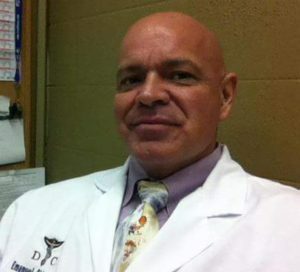 Dr. Daniel Massa is a nationally board-certified chiropractor, practicing within his own facility of D and R Chiropractic in Harlem Georgia. Dr. Massa, a native of New Jersey, has lived and practice chiropractic in Swainsboro for the past 7 years and was the recipient of Best Chiropractor in Emanuel County for the past 5 years. Having attended Life University in Marietta, GA, he received a Doctor of Chiropractic degree, completing with honors, a four year intensive postgraduate program of study in chiropractic. He is licensed in 6 states and has an additional certification with the International Pediatric Chiropractic Association in pediatric training. he is also certified in the Webster Technique used with pregnant women to relieve intrauterine constraint and aid in an easier birth process. Dr. Massa was honorably discharged after serving 3 years with the United States Army. He is married to his beautiful wife Rachael and has a daughter Jayde age 13 with 2 dogs rounding out the family. Thank you for you continuous support in D and R Chiropractic! By living the life of an athlete first hand, Dr. Massa has been able to effectively help a high percentage of athletes perform at their most optimal state! The benefits of chiropractic care continue to climb as you frequently take care of our body, ask us about our frequent patient plans! Among the highest success rates for pregnancies resulting in breech presentation! We aim to assist you during all stages of life! A large portion of the community takes part in out of office care in order to consistently improve their health. Learn more about daily techniques that can help you!